Bareburger offers several pre-set burger combinations, but I gravitated towards the make-your-own option. Several protein options are available, including vegan options and more exotic meats such as wild boar and duck. Gluten-free bun options include a tapioca and rice bun or a collard green wrap. 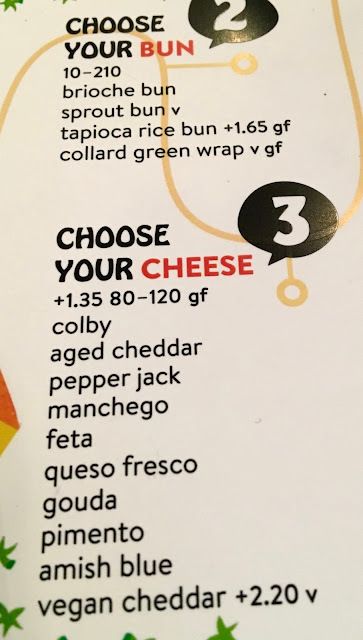 Vegans should note that even cheese options are on the table- a vegan cheddar is available. Once the essentials are picked out, you then pick the sauces and veggies to fill out the rest of the burger. When you order, make sure to inform the cashier of any allergies. They can alert the kitchen to take precautions to prevent cross contamination. 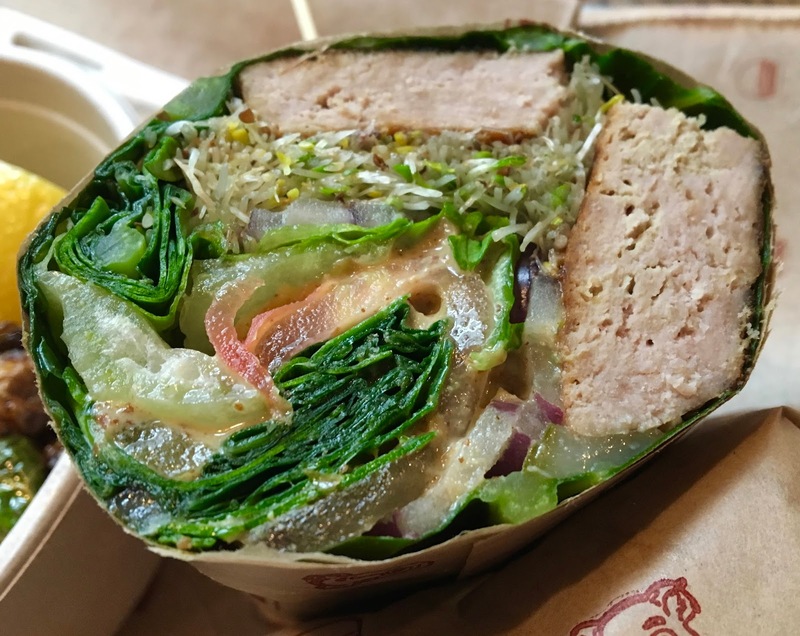 I ordered a collard green wrap with a turkey burger, alfalfa sprouts, lettuce, tomato, spinach, red onion, dill pickles, and stone-ground mustard. As a side, I selected the fried brussels sprouts- sans cheese. The wrap was delicious and really filling. The turkey was seasoned and had a nice grill flavor and the vegetables were all fresh and provided a nice crunchy textural contrast. Mustard added a tangy, flavor that tied the whole wrap together. The thick, waxy collard leaves were able to contain the plethora of ingredients easily, which made for a mess-less eating experience. 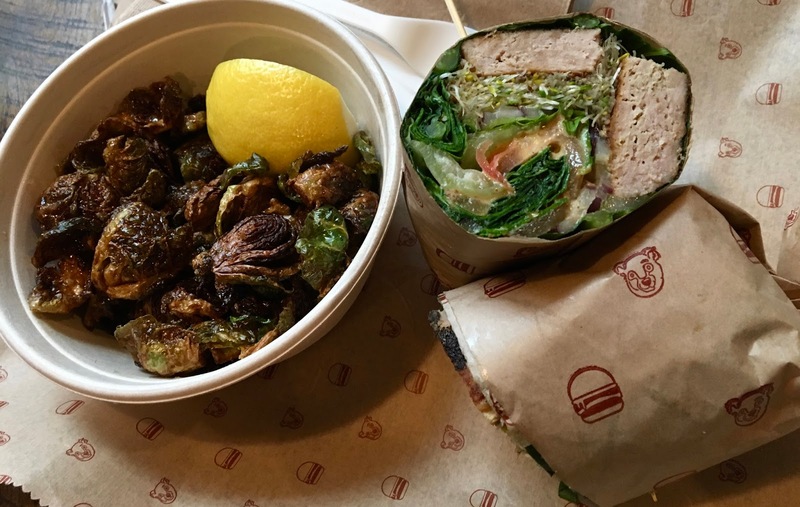 The brussels sprouts were crunchy, salty, and perfected with a squeeze of lime. 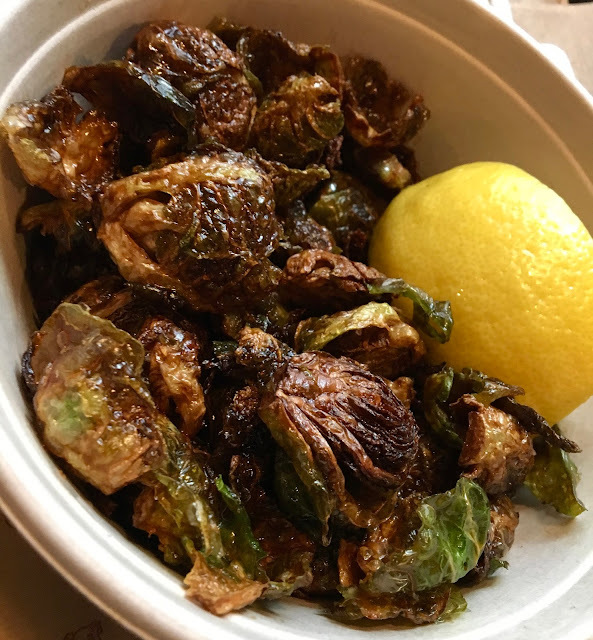 I love fried brussels sprouts and these were top notch. My only complaint is that they could have been a tad crispier, but otherwise they were satisfying and earned two thumbs up from me. 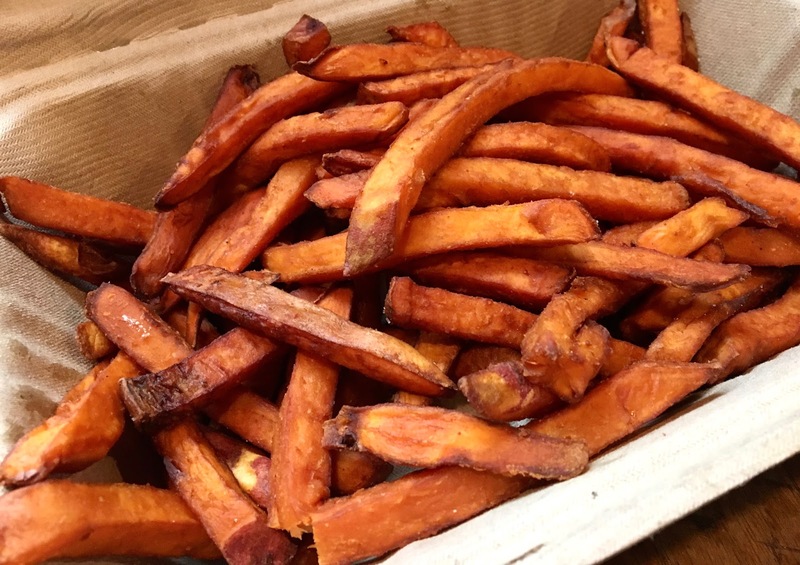 My whole family ordered a side of sweet potato fries (they're made in a dedicated fryer). Thick cut and salty, they strike a perfect balance between sweet and salty and have a meaty texture. A tad limp, they could be a bit crisper, but my family quickly finished off the large portion. 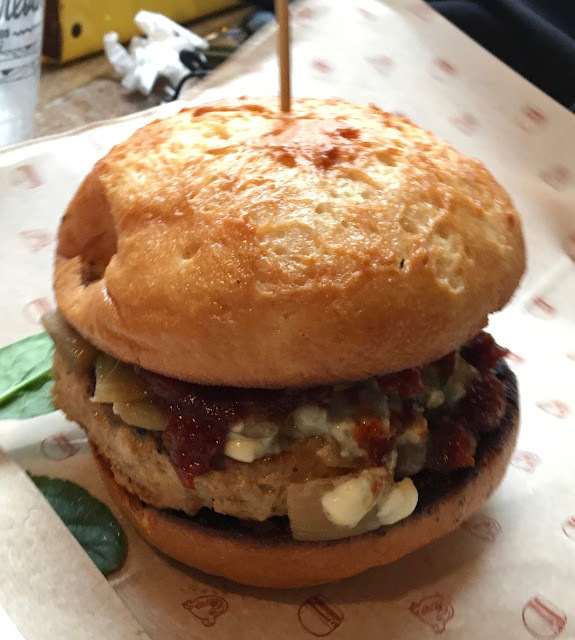 I snapped a picture of my mom's burger, which was made with a gluten-free bun. She raved about the taste and consistency. It was full-sized, which is a rarity when it comes to gluten-free buns. My whole family loved our meals, and I left both full and satisfied. While the food is a bit pricy, it is high quality and really, really good. With plenty of options for all types of eaters, it's a great restaurant to compromise on and enjoy the meal. 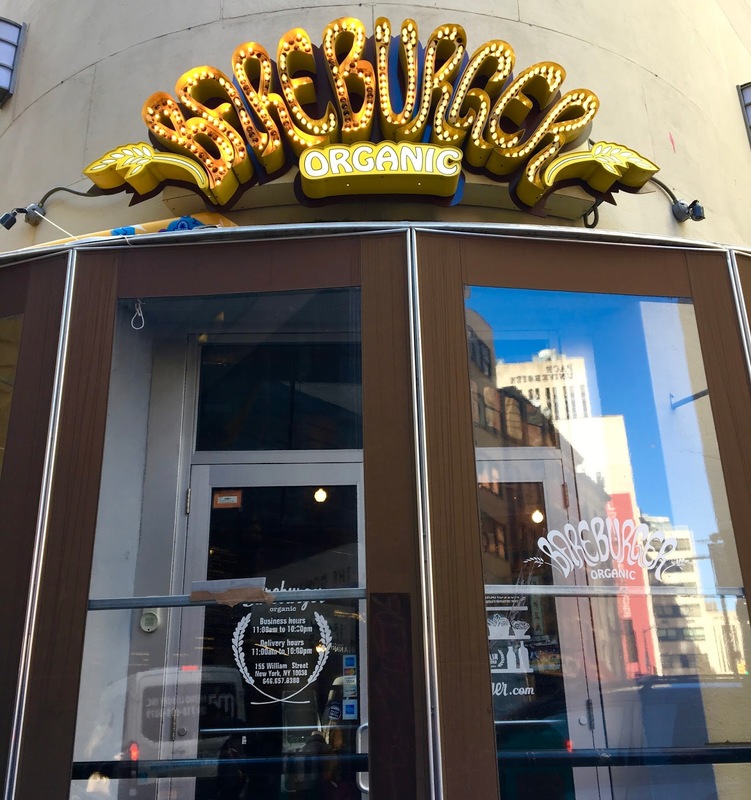 Bareburger has additional locations in New York City in addition to their other locations around the world. I look forward to visiting their D.C. location closer to me in the near future.